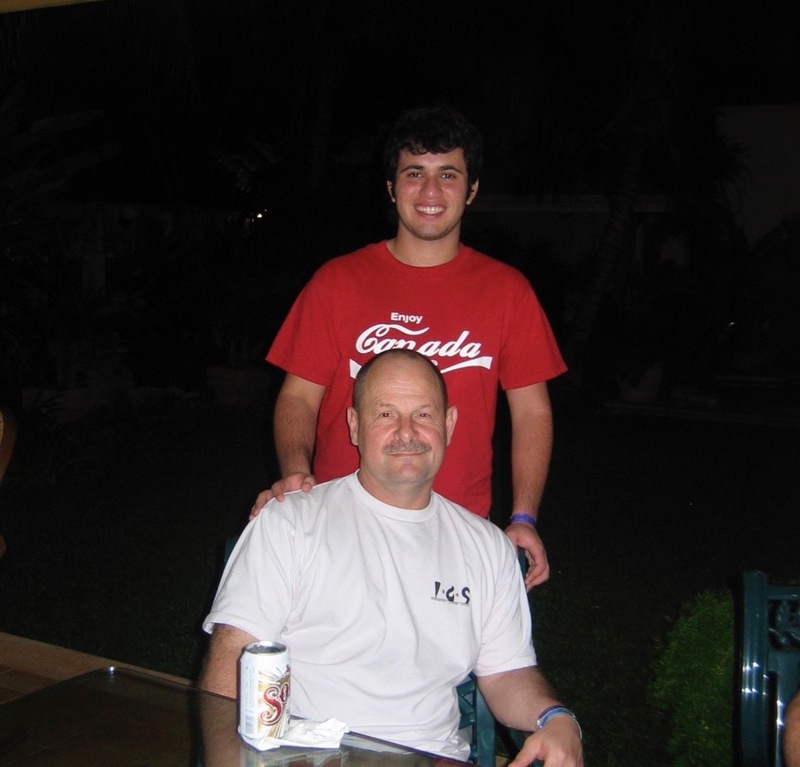 Way back in 2006 a young man named Renan Canto from Merida Mexico came to Steinbach as an exchange student at the regional high school where both my husband Dave and I were teachers. Renan was in my grade ten English class and Dave was his basketball coach. I taught journalism and one of my students Courtney Fehr did a profile of Renan for our school paper. During his interview for the article Renan talked about what a great experience he was having in Canada. 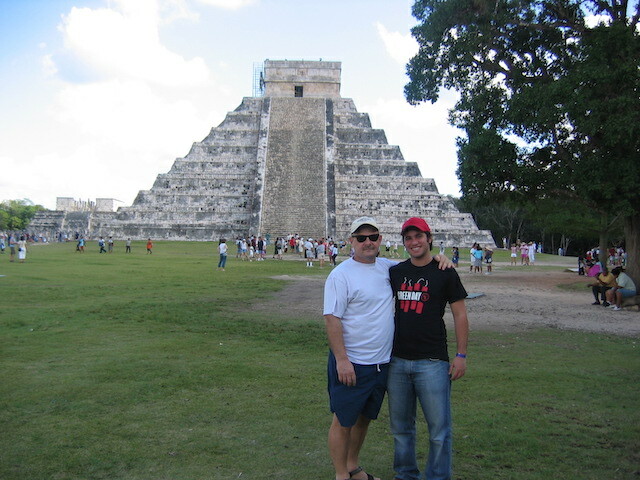 In 2007 Dave and I went on a holiday to Cancun Mexico with our friends Rudy and Sue Nikkel. 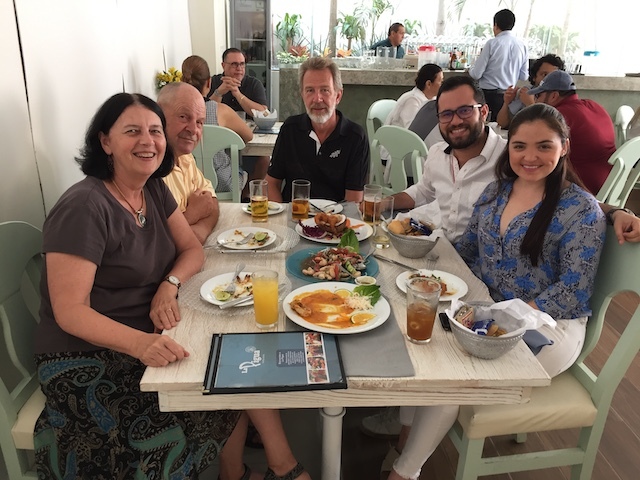 We knew Renan’s home in Merida was about a three and half hour drive away but we contacted him anyway and let him know we would be in Mexico. Renan and his brother came to pick us up in a chauffered car and drive us to their family home in Merida. 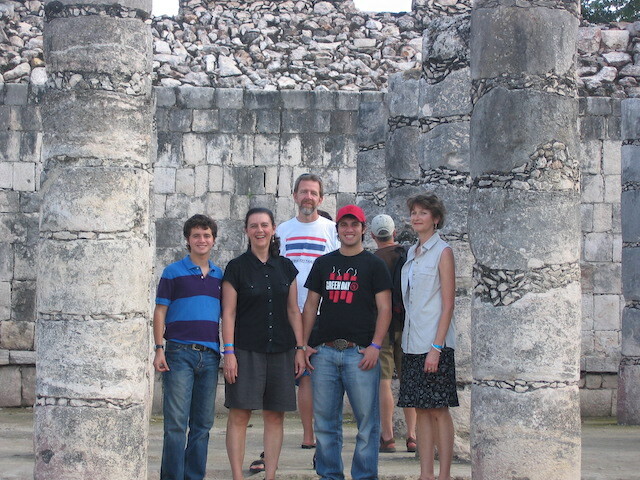 On the way we stopped at the famous Mayan archeological site at Chichen Itza where Renan’s father had arranged for a private guide to give us a tour. When we arrived in Merida Renan’s parents rolled out the red carpet for us. His mother made us a wonderful supper and they hosted us for the night. The next day before we traveled back to our hotel in Cancun Renan’s parents treated us to brunch in a restaurant housed in a beautiful old home in Merida. We have never forgotten their wonderful hospitality. 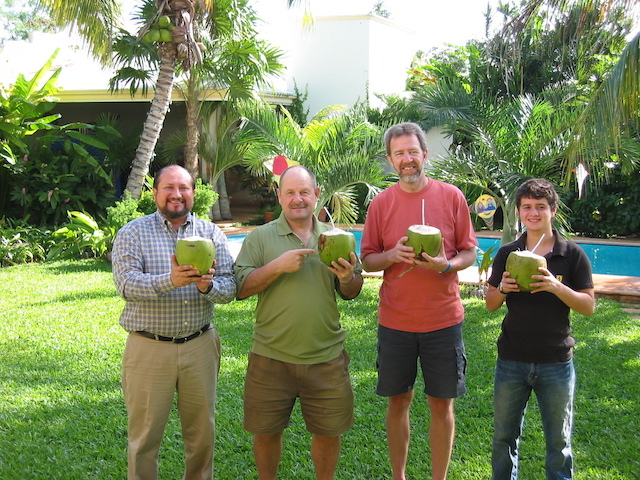 When we knew we would be in Merida with our friend Rudy this year Dave contacted Renan. He told us he had gotten married this fall and Dave invited him and his wife to join us for lunch. Renan picked a fantastic seafood restaurant called La Pigua. We had a delicious meal and a wonderful visit. Renan and Lizmar have only been married for four months and they described their month long honeymoon in France, Italy and Greece. Renan who studied electrical engineering owns a lighting company and installs commercial lighting as well as orchestrating light shows for special occasions. He told us about a light show he had done at some ruins called Teotihuacán near Mexico City. 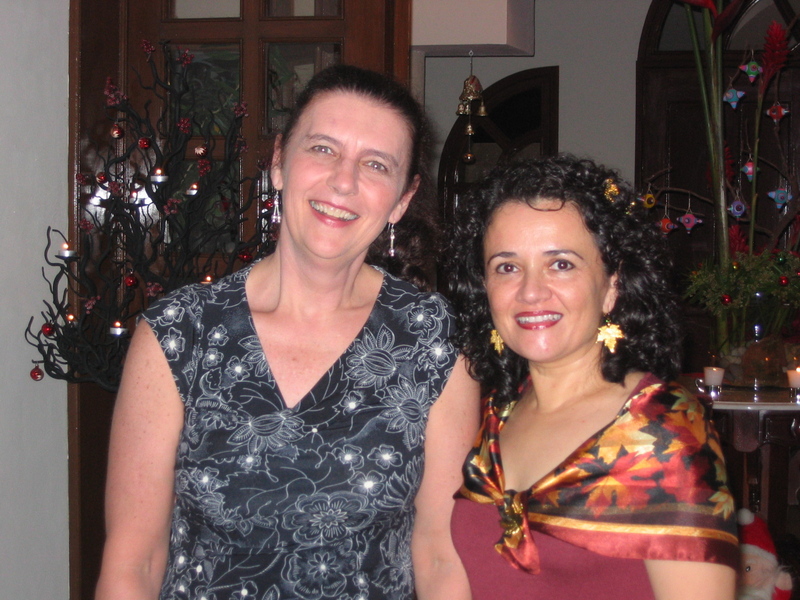 Renan’s wife Lizmar runs a dance studio where around a hundred students study ballet. 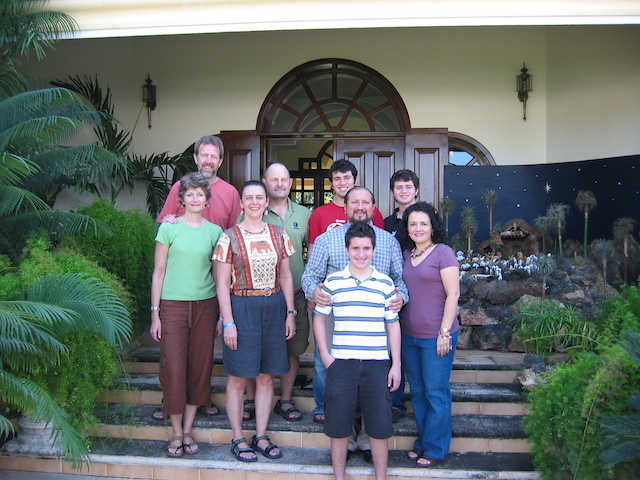 We had a long visit and agreed we will try to meet again during our time here in Merida. It was great to reconnect with Renan and to meet Lizmar!